This news release was originally published on Lockheed Martin's website. 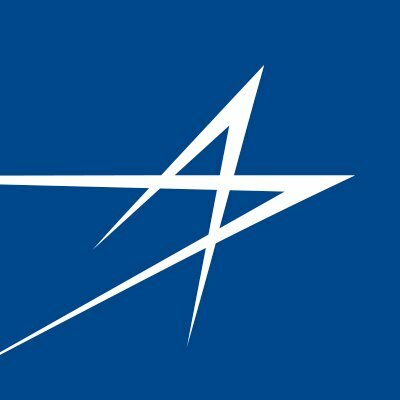 WEST PALM BEACH, Fla., April 11, 2019 – Lockheed Martin’s (NYSE: LMT) Sikorsky line of business honored its top suppliers at a recent ceremony in West Palm Beach, Florida. Suppliers were recognized March 28, receiving honors as Sikorsky Elite Suppliers for best-in-class performance in achieving on-time delivery, cost and quality standards during 2018 and Supplier of the Year for extraordinary support on a specific program. Black Hawk: Kaman Aerospace Corporation – Jacksonville, Florida. Kaman was chosen for special recognition due to their overall performance in 2018, supporting the Black Hawk cockpit requirements in support of Sikorsky’s manufacturing plan. They maintained all Black Hawk schedule requirements throughout the year, including the surge requirements. Kaman was also able to supply cockpit components in shorter than lead time for critical production demands. HH-60W Combat Rescue Helicopter (CRH): Beta Shim – Shelton, Connecticut. Beta Shim has consistently supported several quick-turn and late release orders to support the CRH build and 2019 first flight milestone. They have delivered ahead of quoted lead times by an average of 12 days. VH-92A: Collins Aerospace – Cedar Rapids, Iowa. Collins Aerospace was chosen based on its dedicated efforts to fully integrate all avionics management systems into the VH-92A cockpit. The Collins team demonstrated superior responsiveness to ensure the ultimate success of the VH-92A program. S-97 Raider® & SB>1 Defiant™: AvtechTyee – Everett, Washington. AvtechTyee was a vital supplier on Sikorsky’s future vertical lift platforms, S-97 Raider and SB>1 Defiant. Their innovative contributions were highlighted by the first use of composite pitch control rods on a Sikorsky program. AvtechTyee successfully designed a unique carbon fiber rod under the strict time restraints of Sikorsky’s rapid prototype environment. AvtechTyee showed a great deal of agility in balancing priorities to ensure both programs’ critical milestones were met. Aftermarket & Commercial Support: Héroux-Devtek Spain CESA – Gatafe, Spain. CESA is an original partner on the S-92 for the accumulator assembly. They have many years as a valued supplier on the S-92, investing their own money to develop and make continuous improvements on the accumulator. Throughout the program, CESA has maintained excellent delivery and support metrics. They have also been a leader when it comes to cost reduction initiatives. CH-53K King Stallion: Senior Aerospace – Enfield, Connecticut. Senior demonstrated best-in-class support on CH-53K test initiatives. Senior was proactive in getting critical technical plans generated and approved to minimize schedule slips. In addition to leaning forward to cut down lead time, Senior does an outstanding job communicating with Sikorsky on any issues involving the CH-53K. Canadian Maritime Helicopter Program (CMHP) CH-148 Cyclone: Timken – New Philadelphia, Ohio. Timken has done an excellent job in 2018. They executed short lead times and achieved technical success, enabling CMHP Block 2 in 3 Gearbox certifications while testing at their location. A.E Petsche, Arlington, Texas, is a longstanding distributor and value-add services provider to the aerospace and military market since 1966. A.E Petsche specializes in high performance wire and cable, connectors and harness management products on the electrical wiring harness. A.E. Petsche has been a proud partner of Sikorsky for the past 15 years. American Aerospace Controls (AAC) Inc., Farmingdale, New York, designs and manufactures high-reliability voltage and current sensors for harsh environments. With more than 50 years of experience from space to the ocean depths, AAC can find the right sensor in their catalog or custom design one to meet specific requirements. AAC has been working with Sikorsky since 2000 as part of the UH-60 Black Hawk program. Aero Gear, Windsor, Connecticut, engineers and manufactures aerospace gears, geared systems and gearbox assemblies for the global aerospace industry. Aero Gear first achieved Elite status in April 2016 and has been a Sikorsky supplier for 30 years. Alpha Q Colchester, Connecticut, from its beginning in 1964 as a supplier of simple machined components, Alpha Q has transformed into an industry leader in the precision machining, manufacture, assembly and test of aerospace alloy components. Using the latest state-of-the-art equipment and manufacturing practices, Alpha Q has built its reputation on providing on-time delivery, cost competitiveness and exceptional quality. ATI Cudahy, Wisconsin (ATI Ladish LLC – Forging), is a global manufacturer of technically advanced specialty materials and complex components. ATI provides critical rotor and transmission components for Sikorsky’s key helicopter programs. These components are produced from various titanium and steel alloys that are forged and heat-treated at Cudahy Operations in Wisconsin. GE Aviation, Clearwater, Florida, manufactures electronic component centers of excellence for data transfer systems, cockpit voice and flight data recorders, flight management, stores management and vehicle management systems. Providing data transfer systems on Sikorsky’s UH-60 Black Hawk aircraft, GE is committed to delivering exceptional quality, customer support and performance. Hexcel, Kent, Washington, Hexcel, Salt Lake City, Utah, and Hexcel, Postville, Pennsylvania, is a global leader in manufacturing advanced composite materials and structures for the commercial aerospace, space and defense, and industrial markets. Hexcel is the proud supplier of a broad range of carbon fiber, prepreg, honeycomb core, composite parts and structure to multiple Sikorsky rotorcraft programs. IAI RAMTA, Beer-Sheva, Israel, a division of Israeli Aerospace Industries, Ltd., is an entirely government-owned and controlled corporation of the State of Israel. IAI RAMTA specializes in the design, conversion and manufacture of military and civilian aircraft and helicopter parts/aerostructures and the redesign of aircraft components from metallic to composite materials. Integral Aerospace, Santa Ana, California, is a leading manufacturer and supplier of flight safety critical subsystems and components for Sikorsky. Integral Aerospace supports Sikorsky with landing gear and other flight-critical components. The legacy of Integral Aerospace began in the late 1950s as Royal Industries and emerged from industry leading names like BFM, Smiths Aerospace and GE Aviation. LORD, Dayton, Ohio, and Erie, Pennsylvania, is a technology-based company that designs and supplies solutions for handling and controlling vibration and motion in Dynamic Systems. LORD has worked closely with Sikorsky for 50 years designing and providing products that are on every Sikorsky platform. LORD and Sikorsky pioneered the use of Elastomeric Bearings on the UH-60 Black Hawk. Most recently, Sikorsky utilized LORD’s expertise and technology for preliminary design of both the CH-53K main rotor system and the SB>1 Defiant. Pankl Aerospace Systems, Cerritos, California, is among the top international suppliers of highly reliable, lightweight engine components and drivetrain systems for the aerospace industry. Pankl Aerospace is proud to support many of Sikorsky’s platforms for several decades. Safran Electrical & Power, Chihuahua, Mexico, and Denton, Texas, is a global leader in aerospace electrical wiring interconnection systems, power generation and power distribution systems, while offering customers end-to-end electrical solutions from initial design through operational support. SE&P continues to support Lockheed Martin with F-16 wiring harnesses and has done so for more than 20 years. Senior Aerospace, Enfield, Connecticut, is an international, market-leading engineering solutions provider with 33 operations in 14 countries. Senior Aerospace is a manufacturer of precision metallic parts for the aerospace industry using state-of-the-art production and process control systems to machine steel, aluminum, inconel, magnesium and titanium parts from bar stock, forgings and castings. SKF Aerospace Sealing Solutions, Elgin, Illinois, is a world-leading supplier of a wide assortment of aerospace products for airframe, engines, gearboxes, landing gear, rotors and transmissions. They offer engineering, manufacturing and testing of precision elastomeric bearings, dampers, isolators, pitch controls, rod ends and seals. Schaeffler Aerospace Canada Inc., Stratford, Ontario, is a major global supplier of bearings with core competencies in swashplate and power transmission-bearing products. In 2019, Schaeffler will continue to support Sikorsky’s major programs and focus on growing together on new programs. Tecnobit, Madrid, Spain belongs to Grupo Oesía, is a private Spanish high-tech company that has been operating for more than 40 years in the fields of information technology and advanced engineering in aeronautics, security and defense. The most in-demand products internationally are: optronics, tactical communications, simulation, crypto communications and vision computing. TFAB Manufacturing, LLC, Madison, Alabama – a wholly owned subsidiary of Tyonek Manufacturing Group and Tyonek Native Corporation – has been a Sikorsky and Lockheed Martin supplier for more than a decade, providing installation-ready electronic assemblies and kits for the Black Hawk family of aircraft. TFAB’s precision manufacturing operation is continuously improving, with more than $1.1 million invested last year for new equipment and capability enhancements, including a fully certified fiber optics production line. The Timken Company Lebanon, New Hampshire designs a growing portfolio of engineered bearings and power transmission products. This includes the precision OEM parts Timken produces for the world’s leading aerospace companies. Timken continuously improves the reliability and efficiency of global machinery and equipment to move the world forward. TPS Aviation, Hayward, California, is a distributor of commercial and military aerospace hardware and electronic components. Headquartered in the San Francisco/Oakland Bay Area, TPS Aviation operates a veteran and minority-owned, small family business with 110 dedicated employees ready to meet the needs of its customers. Dan Schultz, president, Sikorsky, and Mike Ciocca, vice president, Supply Chain, were on hand to present the awards.